Has Mike Pence sold out Donald Trump to Robert Mueller? While basically every member of Donald Trump’s treasonous campaign and administration is currently receiving massive amounts of attention from the mainstream media, Mike Pence continues to hide in the shadows. While he continues to try to give off a semblance of innocence, in an attempt to take the altar once Trump is removed from office, many of us understand that Pence is just as guilty. While Pence has done his best to avoid the multitude of crises occurring in the White House, the evidence also points directly at him. Even Fox News has reported that Pence has done his best to be out of the country or immersed in other activities in an effort to avoid the coming prosecution of all other traitors (link). It appears quite the coincidence that with all the turmoil and consciousness of guilt coming out of the White House that Pence hasn’t even been asked to testify by Special Counsel Robert Mueller. While we know they typically go after the biggest fish near the end, there has been no reporting of any upcoming or scheduled interviews involving Pence. It’s well known that when Michael Flynn was fired as Trump’s first National Security Adviser, the purported reason was lying to Pence about illegal conversations with Russian ambassador Kislyak. However, it’s been reported that Pence was well aware of the multiple phone calls prior to the inauguration (link). So the real question should be, why has there been so little investigation into Pence’s knowledge of illegal activity while he was the head of Trump’s transition team? While we know Mike Pence holds many terrible positions and beliefs on human rights and is just an all-around bad person, is it possible that he is also a sellout? The level of departures and turnover from Trump’s administration is unprecedented, but the level of leaks coming out on a daily basis has not subsided. Someone close to Donald Trump has been spilling the beans to the press and likely to Mueller as well. 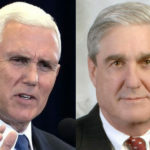 While we cannot put anything past Pence, based on his prior track record of terrible policies, could he possibly be working with the Special Counsel in order to save himself? At this point, only Mueller knows the truth, but it would relieve much anxiety to know that Pence would never hold another political position once Trump is taken down.